so big thunderstorm last night! All yesterday was really warm and nice and then in the evening there was a huge lightning storm over Paris. It's so nice when you live as high up as this. People keep asking for photos, but I'd rather enjoy it than wait around with my finger on the shutter button. 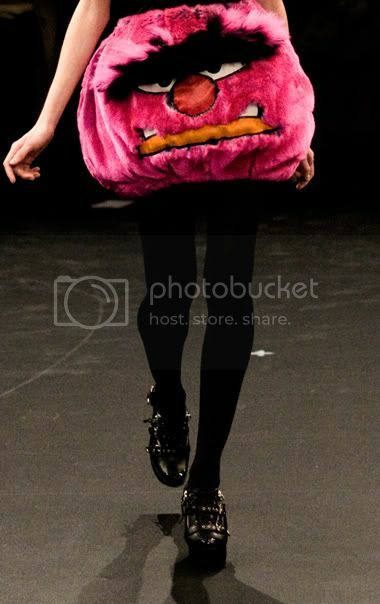 I'm posting some shots from the JC Castelbajac show. Yeah, I didn't know who it was either lol. 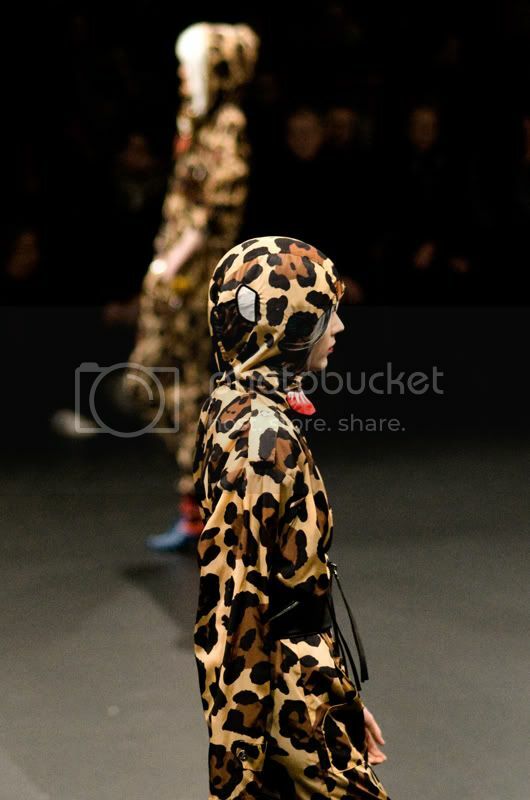 Aparantly he is obsessed with Andy Warhol and his clothes are always this wild. There were less snobbing fashion people there, but instead there was the trendy snobs. Think Colette, if you know that shop. The muppets! I like it!! i'm kind of in love with the leopard suit/kermit-shakespeare shirt. omg, love the Muppets! I wonder how much he had to pay in order to get the rights to use those. I love a good storm regardless of my elevation at the time! 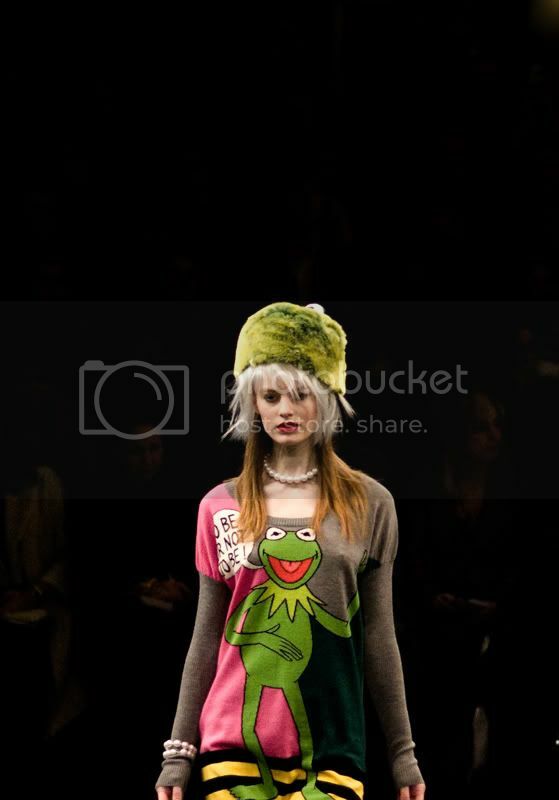 I want the Kermit sweater and the hat! Wow, his collection is amazing but theres SO MUCH. it all looks good together but has like four or five different themes and several color stories to it..and then suddenly one menswear look? 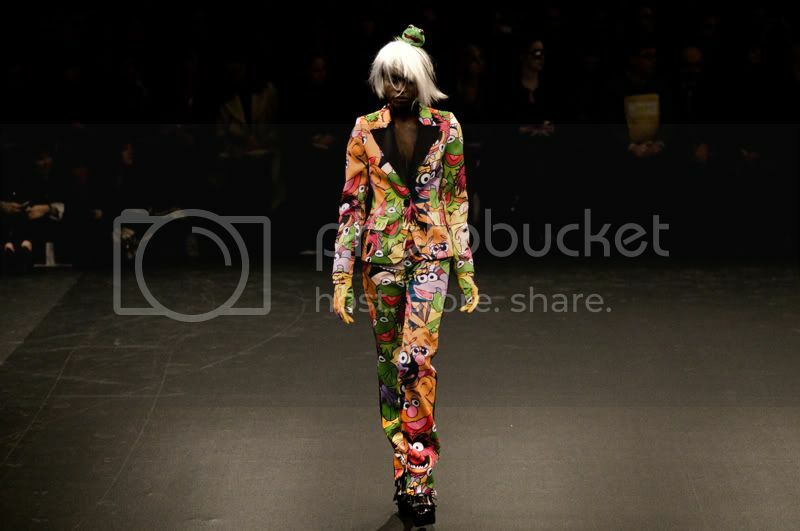 i like this designer alot though, i'll definitely keep watching his work. 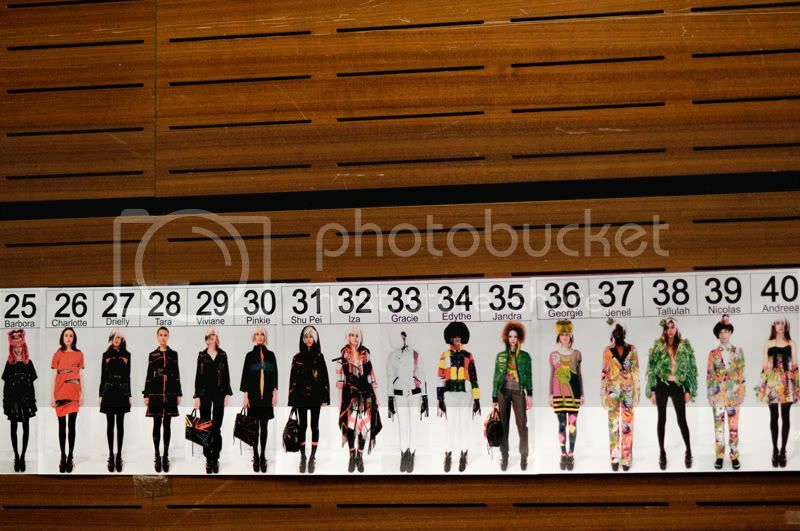 as a side note, i love your fashion show fotos!